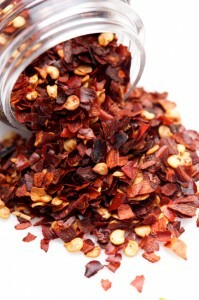 Crushed red pepper flakes can add a little bit of spice to your food and work well with just about any type of cuisine. Most commonly used as a topping for pizza, red pepper flakes give a kick for those who prefer their food with a bit of added flavor. Mexican food is also quite familiar with the use of hot peppers, so if hot sauce isn’t quite your style, adding red pepper flakes may be just what you need for an added bite to homemade burritos or quesadillas. While red pepper flakes are commonly sold in grocery stores, you may want to consider making your own homemade crushed red pepper flakes instead. With homemade red pepper flakes, you have the ability to make hot pepper flakes that match your heat tolerance. Pepper flakes don’t have to be strictly red-colored either. You can use any dried pepper for this spice, such as jalapeños or habaneros (if you dare!). These types of pepper flakes are more difficult to find in stores, which is why we suggest making them at home. The following article from WikiHow outlines how to make crushed red pepper flakes at home. All you need to complete this cooking adventure is a good amount of the hot peppers of your choice, cookie sheets, and a coarse grinder. Bring on the heat! Whether you aren’t sure what to do with an overly zealous pepper plant in the backyard or are trying to think of a creative gift, making homemade red pepper flakes is both fun and ultimately delicious. Determine which type of pepper will be right for your crushed red pepper flakes. With a whole family of peppers you can pick, base your decision on how hot of a pepper you can handle. Pepper hotness is measured by Scoville units–the higher the Scoville unit, the hotter the pepper. For example, a sweet bell pepper has zero Scoville units whereas the mighty Habanero pepper ranges from 100,000 to 350,000. The hottest pepper on the scale is the Trinidad Scorpion Butch at 1,463,700. Assess your overall needs. If you are creating the crushed pepper for home use and you like them hot, go for the hottest pepper you can find. However, if you are giving the flakes to friends, you may want to go with something a little tamer. Test the pepper before you make your crushed flake batch. What may be considered to be hot to some may not be to others. Or you may not like the taste of certain peppers. Consider how big of a batch you want to make. In general, 71 Serrano peppers can make one cup of crushed red pepper flakes. Heat the oven to 170 degrees or a low setting. Although the easiest way is to dry the peppers in the oven, you could also sun dry them, especially if you live in an arid climate. Using a knife, carefully cut the pepper stems off. Then, slice peppers by simply splitting the peppers in half. Don’t remove the seeds. Line non-greased cookie sheets with peppers. Line peppers side by side and avoid clumping peppers together (otherwise they won’t dry properly). Bake in oven for approximately six hours. To be sure you give them enough time to dry, set a timer. Once six hours have passed by, turn off the oven and allow the dried peppers to remain in the oven overnight so they will continue to dry and dehydrate. The next day, place the dried peppers in a food processor or crush them by hand. Only crush peppers by hand if you are wearing gloves and are crushing the peppers while they are inside a plastic bag. Otherwise, stick with the food processor. Once the dried peppers have been thoroughly crushed, carefully pour them in an airtight container. Serve the crushed peppers. Add a label to the bottle to identify the peppers. Open windows or try to increase ventilation as the peppers cook. Never touch your face or eyes when working with peppers, as residual pepper juice can cause extreme pain upon contact. A coarse grinder such as a food processor, blender or spice grinder. The more finely you grind your peppers, the hotter/more powerful the flavor. Making homemade crushed pepper flakes is a great activity if you have a surplus of hot peppers from your garden, since it utilizes so many peppers. Consider adding hot pepper flakes to anything foods from pasta dishes to Asian soups, chilis, or salads. It is important to keep in mind that hot peppers have the ability to irritate the eyes and skin, so be sure to always wear gloves when making pepper flakes. You may also need to keep the windows open while the peppers are cooking, so that the heat from the peppers does not irritate those in your home. If you are a lover of all things spicy, you have come to the right place. We define Mexican food as more “flavorful” than “hot”, but we also have many fresh hot peppers on hand that we can add to your food to tailor it to your liking. A trip to Mexicali Fresh Mex Grill may be just what you need to satisfy your craving for piquancy. We have two Massachusetts locations in Spencer and Holden, as well as a new branch opening up in Ware in the near future. What are your favorite things to top with red pepper flakes?